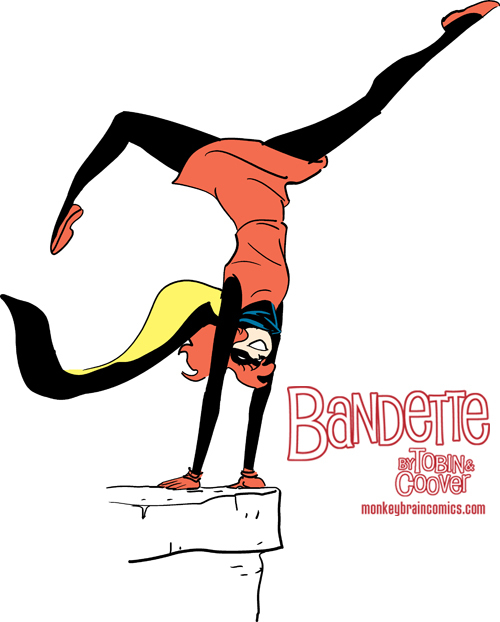 I'm a little ashamed of myself that I forgot to mention Bandette when I wrote up the indie section of my State of the Pull List post the other day, because if I'm being completely honest, it might be my favorite ongoing comic right now. However, I still don't read a lot of books digitally... I'll pony up for a few if Comixology is running a 99 cent sale on something I really want to read (All of Alan Davis's JLA: The Nail for under $3? Yes, definitely, thank you. ), and I'll download free stuff from time to time (Marvel's #1 promotion as a recent example), but Bandette is the only created-for-digital-release comic I'm reading at the moment. 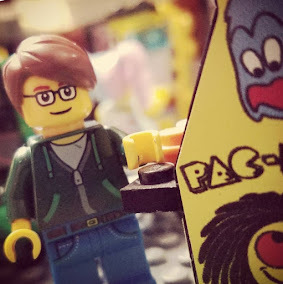 * Comics are still, for the most part, physical objects for me, and out of sight is sometimes still sadly out of mind. Paul Tobin and Colleen Coover, I hope you can forgive me for such a foolish oversight, and I hope you win all the Eisners you're nominated for and even those that you were not. For instance, I figure with such a strong BeDe influence, there's an argument to be made that this qualifies for Best Presentation of Foreign Material. If you read Tobin's recent-ish blog series about his favorite female characters in literature (and you should), you'll know that Bandette here is basically the character he was born to write... she's a thief, she's a little bit detectivey, she has a light and easy-going manner but is super-capable and talented and can definitely bring it when she needs, she has strong and varied cast of associates (basically her own Baker Street Irregulars, her "Urchins"), and a complex moral code (she'll employ her talents for the good of society, for the good of her Urchins, for the good of her pocketbook... or just because it's fun). Coover's artwork is the perfect accompaniment to the story and the character. 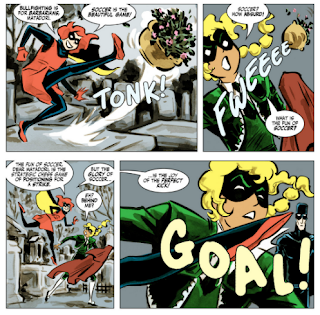 You can often tell as much about Bandette and the characters that occupy her world by how they dress, how the move, and by their facial expressions as you can by what Tobin is having them say. Everybody here feels unique, both in relation to each other and to other comics characters. This book has style in every sense of the word. It reads and looks much differently than pretty much everything else out there right now. If you're not reading this, that's a problem you need to fix ASAP. Get yourself over to Monkeybrain Comics and learn how you can fix you own foolish oversight. *Though this is likely to change now thanks to Art & Franco's Aw Yeah Comics! has started.